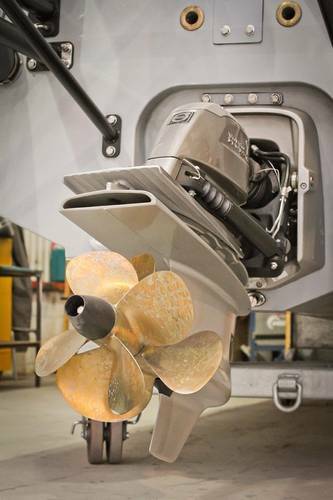 Liverpool City Region (UK) based ship engine specialist James Troop & Co has won an order to supply Volvo Penta diesel engines for three European naval vessels being built on Merseyside. James Troop, one of the UK’s major Volvo Penta Centers, will supply the engines for three vessels being constructed by Marine Specialized Technology Ltd (MST), of Liverpool, which is the global leader for building Rigid Hulled Inflatable Boats (RHIB) and High Speed Workboats for the military and commercial markets. 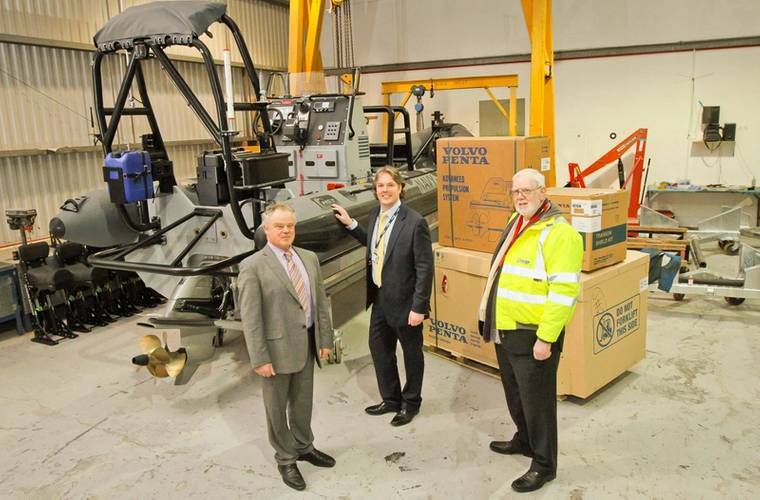 The three MST 800 SEABOAT military workboats will be delivered this spring and will enter service in summer. 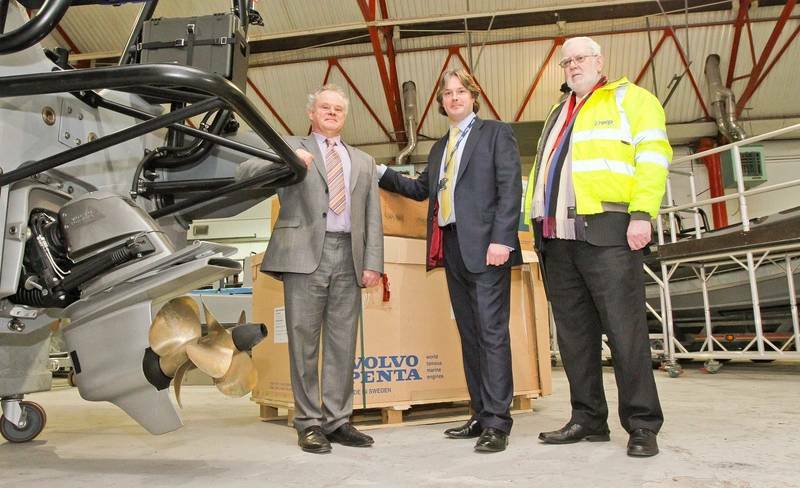 The trio follow a previous order for six identical Volvo Penta-propelled craft which began service in 2013. James Troop operations director Robert Pollock said part of the firm’s major selling point for Volvo Penta marine diesel engines was the level of support, expertise and after-sales service which James Troop can offer its customers. 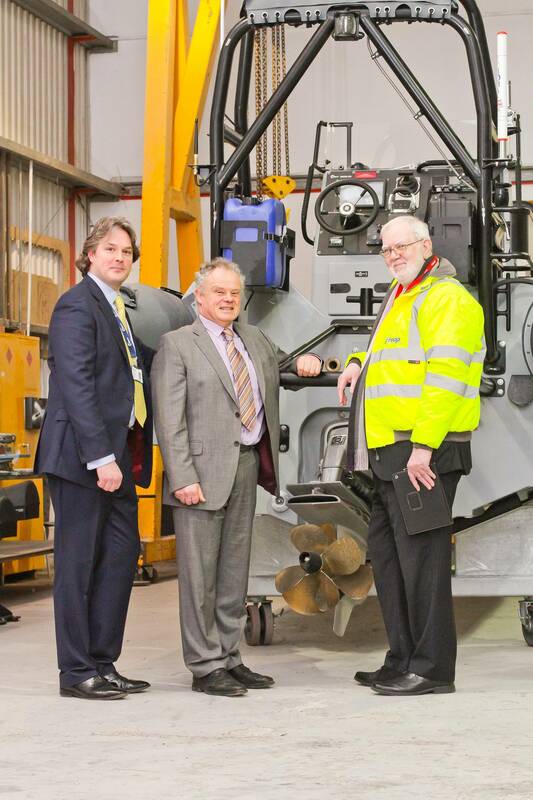 This 8 meter long sterndrive propulsion workboats, built at Atlantic Way, Brunswick Business Park, south Liverpool, serve with many European navies and NATO defense forces. They carry two crew and eight embarked forces. Regarded as high performance, easily-maintained, rugged and reliable vessels, the MST 800 SEABOAT craft are carried onboard Offshore Patrol Vessels (OPVs) as the main weapon system on board for high speed interception, boarding, interdiction, reconnaissance and search and rescue. High profile actions which the MST 800 SEABOAT craft regularly play a major role in include drug smuggling interception, migrant rescue and antipiracy. 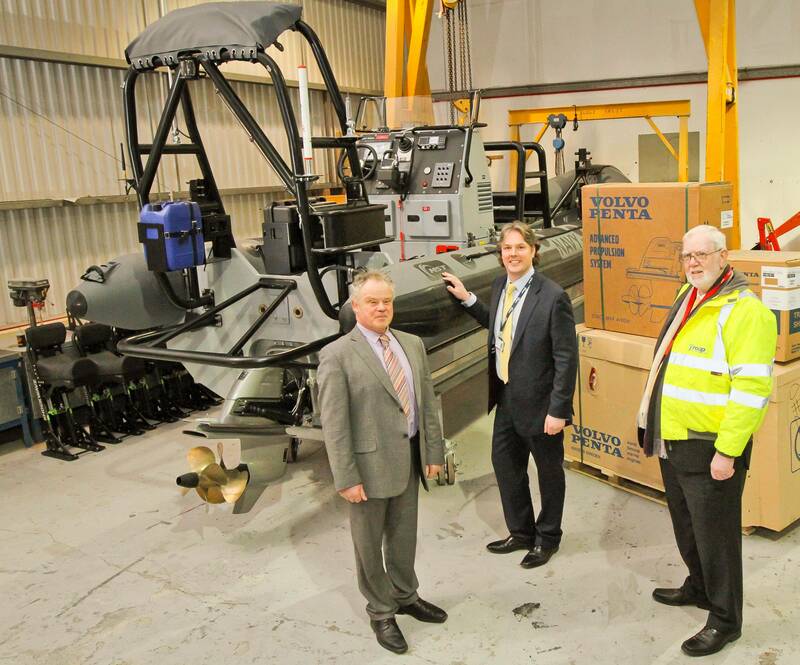 This craft is one of many production military craft that MST has developed for the next generation of multi-role OPVs entering service with global maritime forces.